Browsing Category " Vientiane Nightlife "
Marina is the best nightclub in Vientiane as of 2017 (my second favorite would be Gold Star ). It is located on Luang Prabang Road, 3 kilometers from the tourist area so you'll need to ride a tuk-tuk (20,000-30,000 kip maximum). As you arrive, you'll see a mini-traffic jam with some luxury cars. Maybe because it is far, there is almost no foreigners who visit it (apart from Thais and Chinese). That's too bad because it would challenge a few stereotypes they might have about "sleepy" Vientiane. Romeo and The Pavilion is a nightlife complex in Vientiane consisting of a nightclub (Romeo), a live music hall (The Pavilion), a beer garden, a restaurant and a karaoke. It is quite far from the city center (at least 5 kilometers) but still, I wanted to check it as it seemed to be popular with the local elite. In particular, it targets the Laotian-Chinese community with the same kind of ostentatious, over-the-top design you may have seen elsewhere in Chinese clubs in Asia. 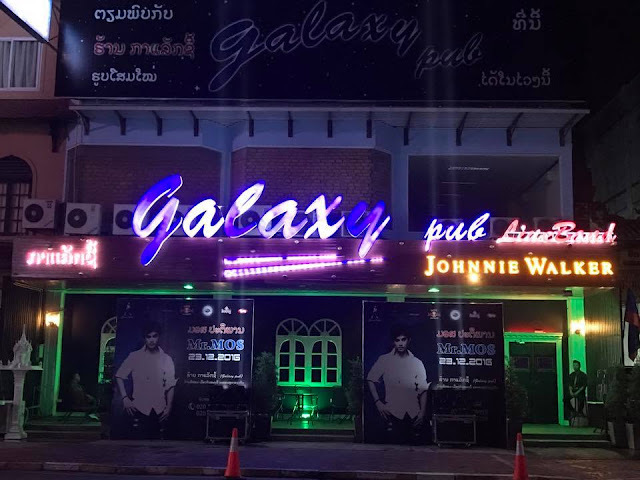 Galaxy Pub is a live music club located on Samsenthai Road in Vientiane. Be careful as it has changed location and it is no longer by the Mekong river. 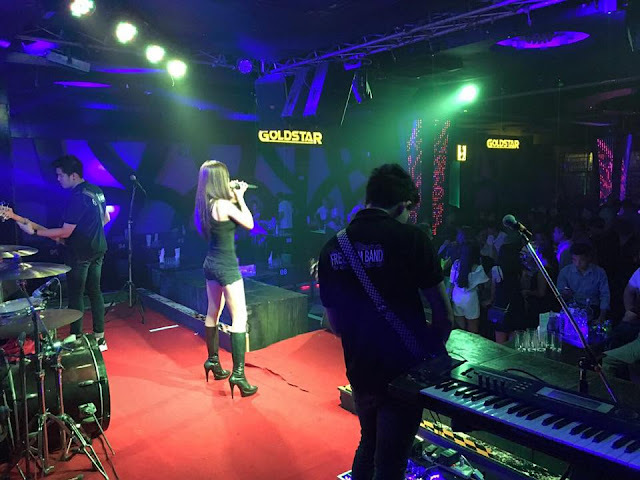 It is a chic place, with a dressed-up crowd and pretty girls (among which a few ladyboys though) that features live bands singing Laotian pop. The entrance is free, and if it isn't too crowded the waiters will give you a table. I only had one lao beer for 25,000 kip. It is a bit cheesy for my taste, but if if you want to meet upper class Laotian girls it could be an option (some of the girls could also be Chinese or Thai, I'm not 100% sure). 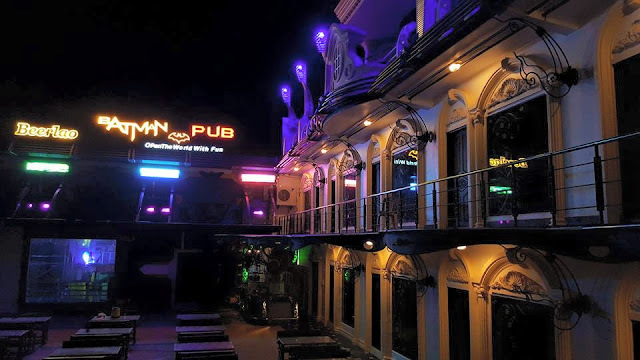 Samlo is an expat/tourist pub and restaurant located on Rue Setthathirath in Vientiane. It looks a bit dirty and old, with torn seats and peeling paint, but in a way it adds to its charm. It is normally fairly busy every night of the week, mostly thanks to regular patrons. They come to play pool or foosball, to watch live sports and to drink cheap beer (small lao for 10,000 kip). There is also Western food (40,000-70,000 kip). I'm not sure about the exact name of this place. Outside there was a sign saying Dihao Nightclub and KTV, but on google I also saw it spelled Ti Hao, Di Hao or Tihao. Some photos also show a sign with the name Lollipop but for now it has been either removed or turned off. My final conclusion is that the club name is Dihao, that it used to be called Lollipop, and that it is within the Ti Hao Hotel. 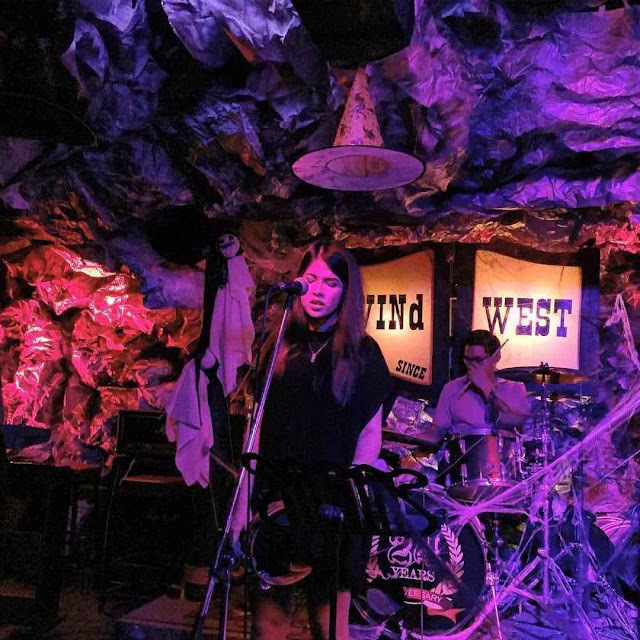 Wind West is a popular live music pub located in Rue Setthathirath in downtown Vientiane. It was packed when I visited (Saturday night) with a chic local crowd, and about 10% of foreigners (expats or tourists). The oldest bar in Vientiane (since 1992), it is housed in an independent building that you can easily spot from the street. There is no entrance fee and a dress code normally applies (no shorts and no sandals, though most foreigners didn't respect the rule). Phoenix nightclub is located on Thadeua Rd, about 3 kilometers from the tourist center in Vientiane (just a few hundred meters after Paris Cocktail). It's easy to spot from the street as it is inside a white, flashy building. Phoenix is officially targeting an upper class crowd, the "hi-so" (high society) of Laos: It has a modern design, it features guest bands and DJs from Thailand, and they have a strict dress code. In reality, it is not that stylish. It is quite dark, with mostly young people wearing t-shirts, and the music is boring EDM. Even on a Saturday night at 1AM it was 2/3rd empty. 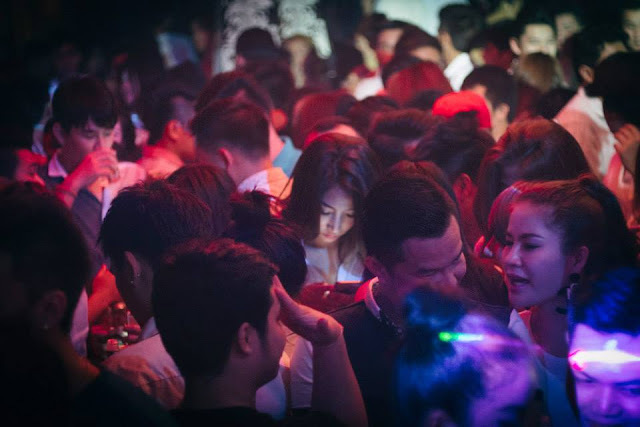 @Home (or At Home) is one of the popular nightclubs in Vientiane , particularly among foreigners (expats and tourists). It is quite large but it was only half-full when I visited it on a Saturday night. I'm not really sure I understand why expats like to go there instead of Marina or Gold Star . Maybe it is for the girls (among which some were definitely hookers), maybe it's for the music (a mix of trance-techno). The entrance was free and the price of drinks is standard for a Vientiane nightclub (25,000 for a beer, 40,000 for cocktails). 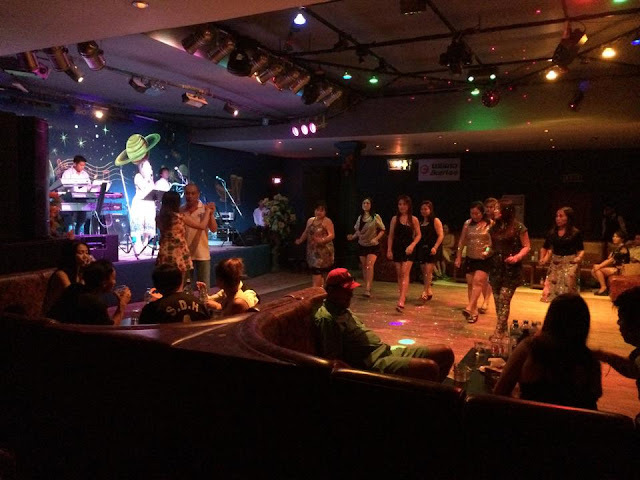 Mittaphab Club and KTV is the nightclub of the Mekong Hotel on Souphanouvong Avenue. It is about 500 meters from the tourist center. I saw it as I was walking by and I decided to have a quick look. The entrance was free and I just had one beer (25,000 kip). It is a rather large disco but less than 50 clients were there. It is a bit old-fashioned: You have a podium for the live band, a dance floor just in front of it, and used sofas all around. The music was Laotian. The male customers were above 50, with some Chinese, but most girls were in their early 20s (except a few older ladies). Obviously, they were hostesses from the karaoke next door. In fact, after a quick research on internet I discovered that the Mekong Hotel is a hotspot for prostitution in Vientiane and that girls from the club can be taken to a room. Prices I found were 90,000 kip for bar fine, 300,000 kip for short time and 600,000 kip for long time.